To celebrate the twentieth anniversary of Twentieth Century Fox’s indie/foreign/art-house and specialty company Fox Searchlight, the studio has kicked off what will be an entire year of new to Blu-ray titles and anniversary rereleases of some of their biggest critically acclaimed and/or box office hits. Beginning with fan favorites including Napoleon Dynamite and Garden State (with future titles including Kissing Jessica Stein and The Full Monty), perhaps the most anticipated new high definition release in the celebration was in the long overdue Blu-ray debut of the internationally beloved Oscar winning Once from director John Carney. 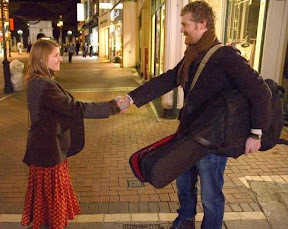 For Carney, of course, the timing couldn’t be better as his upcoming music-centric release Begin Again starring Keira Knightley, Mark Ruffalo and Hailee Steinfeld is scheduled to open in a month following a successful film festival run. 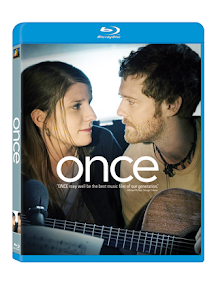 And reminding us of where he began is this gorgeous new presentation of Once. 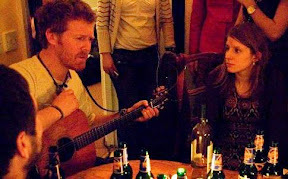 More than just Carney's work, the film not only launched its musical star duo (and former real life flames Marketa Irglova and Glen Hansard whose post-film relationship was chronicled in the excellent documentary The Swell Season) but also inspired a new generation of filmmakers with its earnest, humanistic approach. 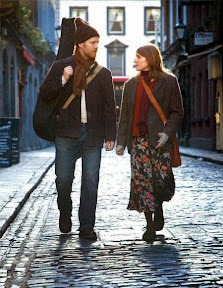 Reminiscent of the early work of Jim Jarmusch, which likewise encouraged Gen Xers to grab a camera, the smash success of Once reminded filmmakers and viewers alike that human relationships are still far more compelling and universally relatable than any number of big budget special effects. While the Blu-ray upgrade of the title disappointingly boasts no new special features from the ones that were included on the previously released DVD, in a side-by-side quality comparison of my old standard definition disc and the Fox BD on my 240 hz, 1080p LED television with surround sound revealed a major improvement in video and audio alike. Testing it out in a daylight scene where the limitations of the DVD are on full display given Once’s minimal budget, handheld style and understandably lackluster technical specs, the Blu-ray presentation has more than made up for any cinematic shortcomings. 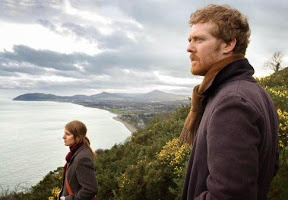 In addition to driving home the sound in its low, confessional dialogue as well as Hansard's guitar busking wails, visually the Blu-ray adds depth as well as a clear vibrant border that had been missing before in the DVD’s soft video-like image. Although it’s easily recommended on the improvement in quality overall, obviously a digital copy, deluxe soundtrack (although most of us own the Oscar winning music already) or some kind of “DVD proof of purchase” discount on the upgrade would’ve added to the high definition release's allure. Nonetheless, I think it’s safe to say that I’m not alone in hoping for new bonus features in time for the inevitable next anniversary re-release of either the title in 2016 or Fox Searchlight’s twenty-fifth anniversary, in which the studio could perhaps feature Once along with several of their other stellar offerings in one big Searchlight box set.